Can Bipolar Disorder Get You Excused From Jury Duty? Few of us love jury duty but understand the importance of taking part in our civic responsibility. But there are times when we simply can't, either because of personal hardship or physical or mental limitations that make jury service difficult, if not impossible, to perform. If you are living with bipolar disorder, you may assume that it automatically excludes you from sitting on a jury. In some cases, you may be right, particularly if you're on disability and unable to work. But is it always the case? The simple answer is this: maybe. This is because the laws governing jury duty vary from state to state, county to county, and even district to district. So, if you're suddenly faced a jury summons and feel unable to serve, you will need to identify your local laws and make further inquiry if the rules seem unclear. In California, you may request an exemption if are under 70 and a doctor confirms in writing that your mental illness makes it impossible to sit on a jury. In Massachusetts, the same guidelines apply but with no limitation as to age. In New Hampshire, you not only need to provide documented proof of your diagnosis, you must also be on temporary or permanent disability because of it. In Hawaii, a medical certificate must be submitted as proof of mental illness. Even so, it is not a guarantee that your request will be approved. In parts of North Carolina, you must submit a signed statement by a licensed physician on an official letterhead setting forth a diagnosis, a prognosis as to the time the mental condition is expected to continue, and an explanation as to why you are unable to perform jury duty. In Delaware, you need only fill out a questionnaire to provide evidence of "undue hardship, extreme inconvenience, or public necessity" in order to be excused. In Wisconsin, there is no reference made to mental illness and jury, only a telephone directory of district courts to contact. If you are perfectly comfortable submitting for an exemption based on your mental illness, speak with your doctor and see if he or she can put together the bulk of the documentation for you. These requests are not uncommon in a medical practice, and the office staff may have experience in how to expedite the process more efficiently. If the doctor is unable or unwilling to help, call the helpline listed on the summons, advise them about your condition, and ask them for advice on the fastest and easiest way to get an exemption. If they understand your distress, they will usually make more effort to help. 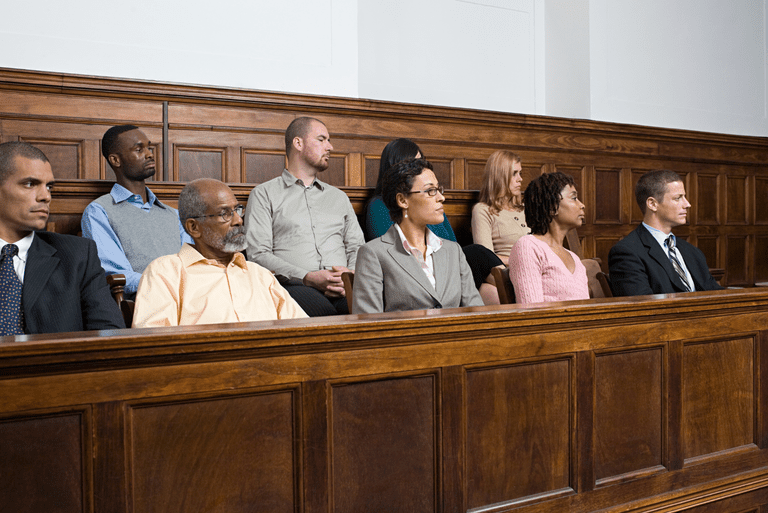 Jury duty typically lasts from seven to 10 days. If you have an important medical appointment (such as therapy, a doctor visit, or a regular support group meetings), you can often get excused on the grounds that jury duty will interfere with those appointments and pose "extreme inconvenience" to your ongoing care. If you are unable to get excused prior to jury duty, request to speak with the judge upon arrival. If you speak as a human being rather than a prospective juror, you can explain what is going on with your health (including the drugs you're taking) and simply advise the judge you are unable to concentrate. That's usually enough to be granted an excusal. Alternately, if you are just going through a rough time now and want to serve, you can request a change of date. These are almost always granted. Whichever way you choose to handle this, do not lie or provide false evidence. Doing so may result in a perjury charge and a hefty fine. Be honest and turn to your support system for help in gaining fair and reasonable exemption from court service. Just take it one step at a time. Can You Qualify for Disability Benefits With Bipolar Disorder? Can a Child Inherit Bipolar Disorder From His or Her Parents?